One of the many old and half-submerged tree roots that can be found around the edge of Lochan Doire a' Bhraghaid, white with a fresh covering of snow. 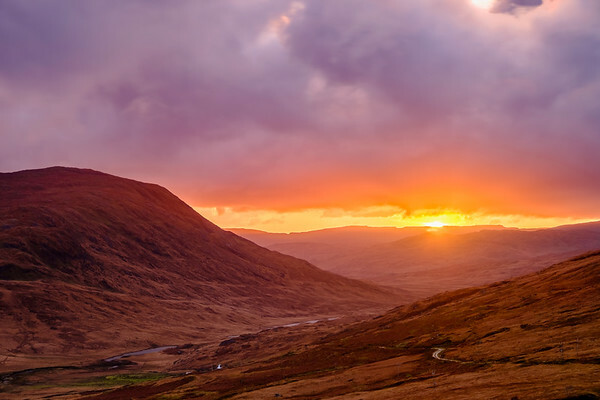 Gleann Dubh, the Black Glen, viewed from the Taobh Dubh and filled with gold light from the setting sun. 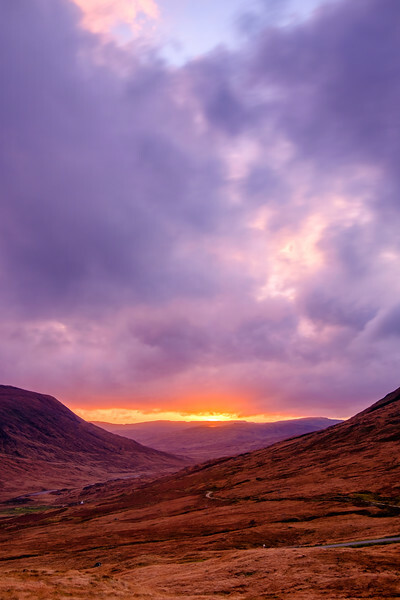 Gleann Dubh, the Black Glen, viewed from Taobh Dubh with the sun setting behind the hills beyond it. Tennyson’s Waterfall on Ardtornish Estate, looking rather primeval with old, gnarled and twisted trunks and roots that lie across the burn. A beautiful spot, where you could just imagine Alfred, Lord Tennyson sitting deep in creative thought. The pink band of the Belt of Venus (Venus's Girdle) emerges from the orange light of the setting sun as it drops to around 5° below the horizon. 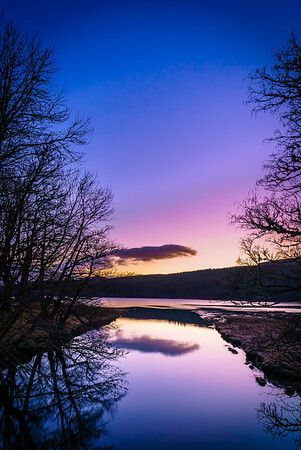 As sunset approaches, colour starts to appear in the sky and begins to paint the surface of the water where the River Aline meets Loch Aline. As the light fades at dusk, the main peak of Fuar Bheinn stands bright in its white coat of late winter snow. As the light fades at dusk, the two of the three peaks of Creach Beinn (Maol Odhar East and Maol Odhar) stand bright in their white coat of late winter snow. A deer wanders down the track to Achagavel and is lost in the snowy landscape of Gleann Dubh. Can you spot it? 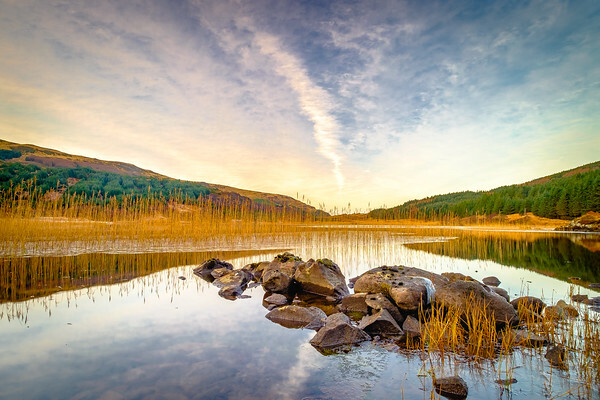 A stream runs down from the peak of Beinn nam Beathrach to the farm at Achagavel, which has gouged out a deep gorge over the course of thousands of years. 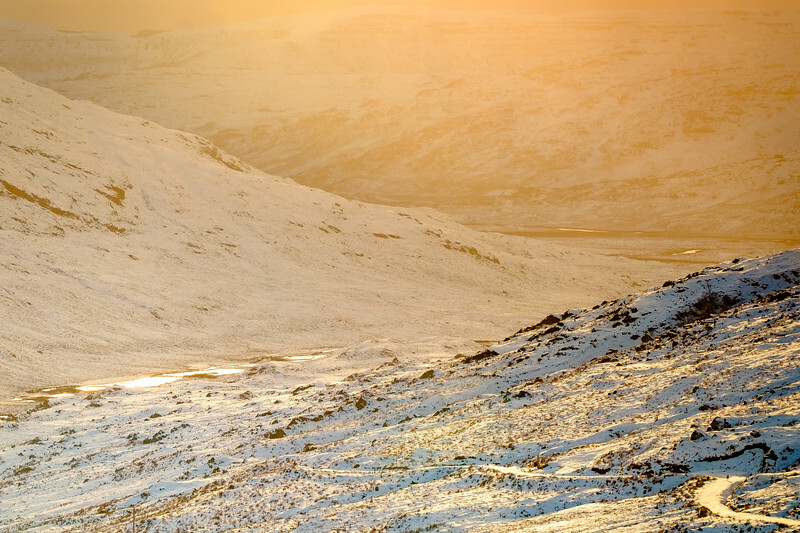 The low sun on the snow-covered hillside really makes the gorge stand out. The view to the South from Torr an Fhiuch, looking over Loch Linnhe to Shuna Island and Lismore with Port Appin beyond. 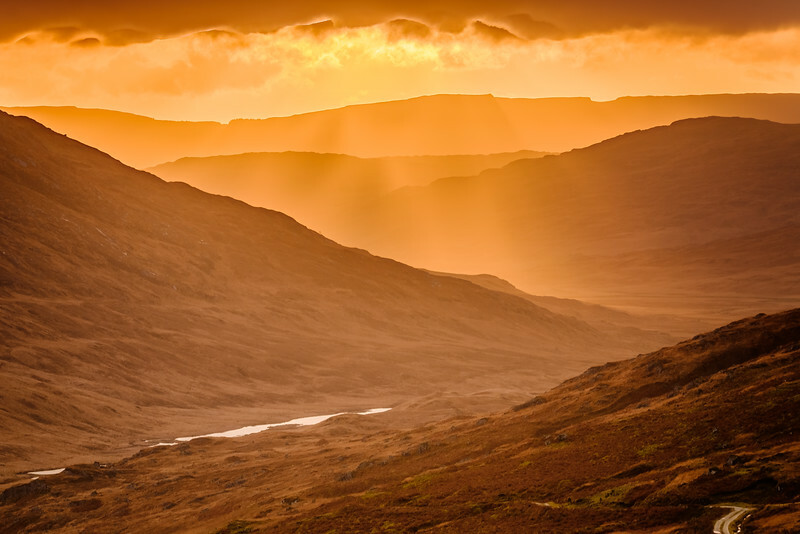 Golden morning light on the eastern coastline of Morvern, looking down from Torr an Fhiuch towards Kingairloch. If you drive over the hills from Inversanda to Kingairloch, you pass this withered old oak tree near Lochan Doire a' Bhraghaid, which on this occasion was seen under the light of a full moon. You can just see Ben Nevis through its lower branches. 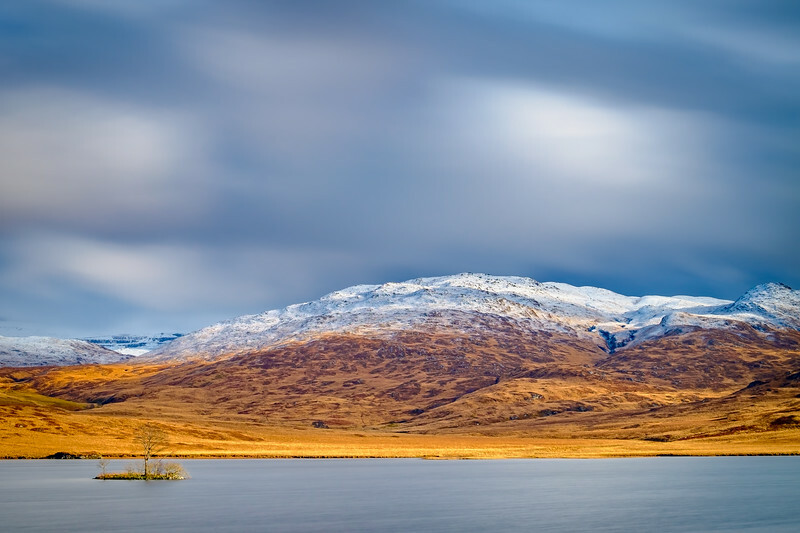 A dusting of late winter snow covers Beinn a’Chaisil, a 1,433ft high hill that overlooks Loch Tearnait, a loch on the Ardtornish Estate about two miles inland from the head of Loch Aline.